We promise we didn't rush our podcast in order to watch the Cubs. It's our job to bring you the best Bears analysis! Kevin Fishbain and Arthur Arkush recap the Bears' win over the Raiders and discuss the top plays from the game, then move on to the 0-5 Lions. Josh Katzenstein (17:33) of the Detroit News joins us to explain why the Lions are so bad. 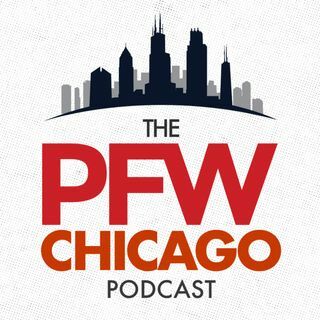 Kevin and Arthur break down the matchup on Sunday, then Bears D-lineman Ego Ferguson (33:43) joins Kevin to talk about seafood, his ... See More weight loss and his future modeling career. The show wraps up with our picks, and a first in the short history of our podcast.